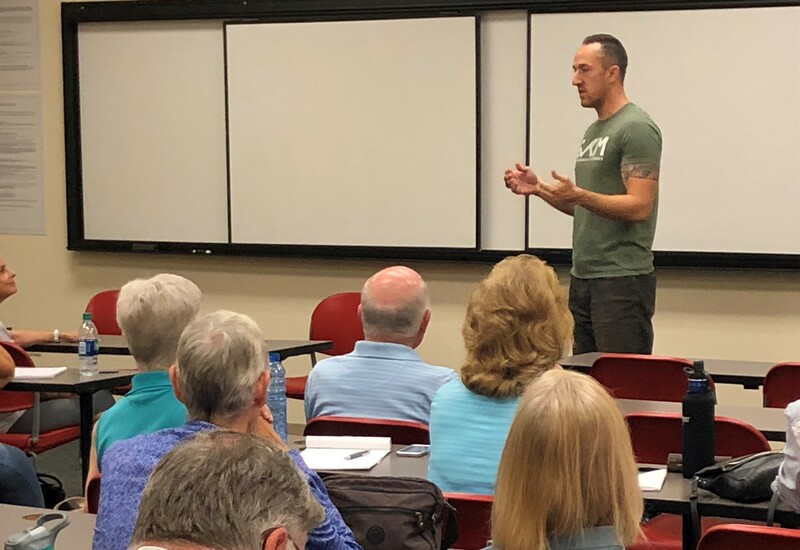 Our Chief Instructor, Derrek Hofrichter, was recently invited by the Arizona State University Kosher School of Lifelong Learning as a guest speaker! His presentation took place at the Downtown Phoenix ASU campus and was a sold out event with a waiting list. 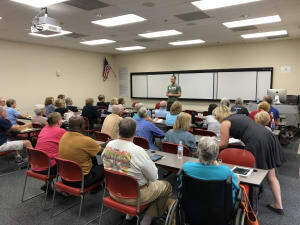 The School of Lifelong Learning provides educational courses for senior citizens, and Chief Instructor Derrek spoke about Self Defense at Any Age. He provided examples of why Krav Maga was a great system of self defense to learn at any age, as well as important safety tips and principles. He was joined by EVKM Instructor Sara Yee, who helped with demonstrating the techniques. The participants had many questions and concerns about their safety and what to do in different situations, and it was a great conversation. Chief Instructor Derrek has been a frequently requested speaker at ASU and many other groups, companies, and organizations around the valley. If you would like him to speak to your group or event just contact us for details!